When buying or building a kegerator, you’ll need to determine how many faucets it should have. 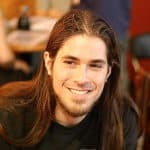 Are you the kind of person who entertains a lot? 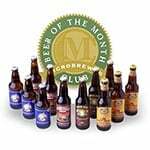 Do you produce a variety of home brews and like to keep several on tap at all times? 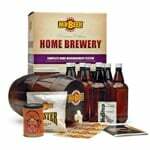 Or do you produce a single style of home brew and have fairly subdued get-togethers? 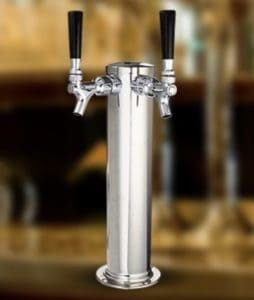 Social lions who want a variety of brews at their beck and call will want a 3 faucet beer tower, others may want 2 to highlight both their most recent ale and their most recent lager and for others, having a single faucet adorn their kegerator tower is just fine. Regardless which one of these folks is you Kegco has a tower with your name on it. Below we’ll look at the 1, 2 and 3 faucet versions of their popular D4740 series tower. 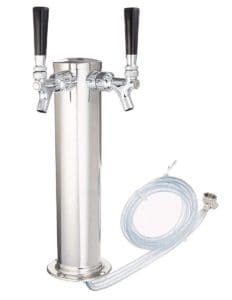 3 Kegco D4740 Series Draft Beer Tower: Is it Worth Buying? 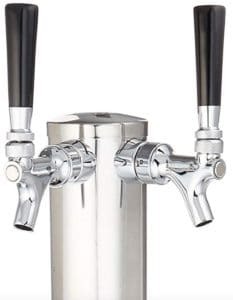 The Kegco D4740 series of beer towers sets the bar for other towers to clear. They’re either 11.5″ or 14″ tall with a durable finish, clean, fresh lines and plenty of space between faucets, which is important when you’ve got a big crowd, and you need to work fast. The D4740 base model has a single centralized faucet and is available with a chrome plated or stainless steel finish. 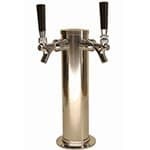 While none of the Kegco towers come with a decal holder, you’re really not going to miss it because the tower and faucet themselves have that “complete” appearance that is the result of solid design. The D4743 is the company’s 2 faucet tower, and it’s a beauty. Available in brilliant stainless steel or luxurious polished brass it’s going to be the centerpiece of your home bar. The ergonomics of the D4743 are first rate and keeping it clean is a snap. Just wipe it down with a clean damp cloth at the end of the night. The D4743-TT 3 faucet tower features a rich satin finish on its stainless steel. It’s a bit tall than the other models in order to accommodate the 3rd nozzle which sits up a bit in the space between the left and right faucets. 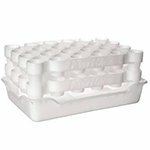 The added height also makes it ideal for dispensing beer into stylish tall glasses or even growlers. The D4740 series has a proven track record of reliability and is easy to sanitize using any standard kit you can procure from the Internet. They’re remarkably affordable for such well-designed and executed pieces of equipment, and the high polished stainless, polished brass and satin finishes make quite a statement. Comes with all the tubing and hardware you’ll need. Compatible with the full range of keg couplers. Nothing is without a downside, but the D4740 series of draft beer towers comes pretty close. We could point to the fact that there’s no decal holder. Although you could no doubt find one that’s compatible and install it without too much trouble. Polished brass is only available in the 2 faucet design. 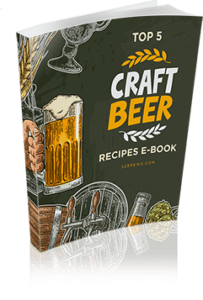 Kegco D4740 Series Draft Beer Tower: Is it Worth Buying? Considering that you could pay more for a pair of athletic shoes, we’d say any one of the entrants in the D4740 series from Kegco are well worth the investment. They’re smartly engineered and well-built so you can be sure they’re going to deliver many years of trusty service and any one will enhance the look of your home bar. 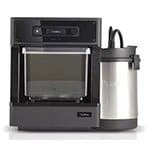 So whether you want to replace the stock tower that came with your kegerator or are looking to put the finishing touch on your own DIY kegerator, you can’t lose with the D4740 series from Kegco. It’s really no more complicated than that.